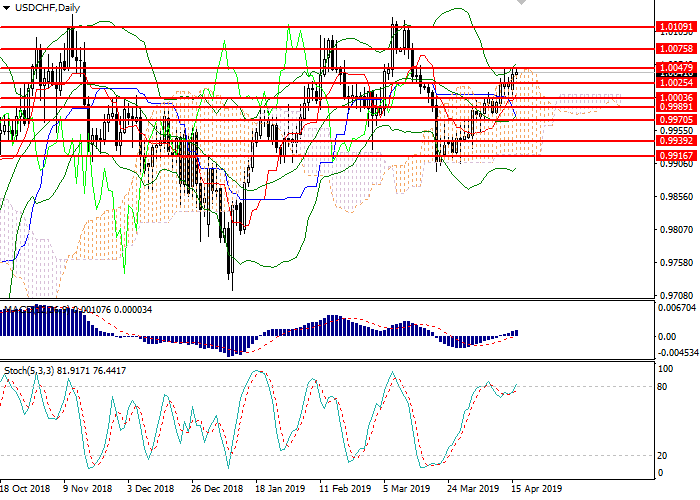 On H4 chart the instrument was corrected to the upper border of Bollinger Bands. The indicator is directed up, and the price range has expanded, which indicates a further growth in the pair. MACD histogram is in the positive zone maintaining a weak buy signal. Stochastic has lost the overbought area forming the sell signal. On D1 chart, the instrument is trading in the upper part of Bollinger Bands. The indicator is directed up, and the price range has expanded, which indicates a continuation of the upward trend. MACD histogram is correcting in the positive zone. Stochastic is ready to enter the overbought zone, so a strong sell signal can be formed in 1-2 days. Support levels: 1.0025, 1.0003, 0.9990, 0.9970, 0.9940, 0.9916. Resistance levels: 1.0048, 1.0109, 1.0076. 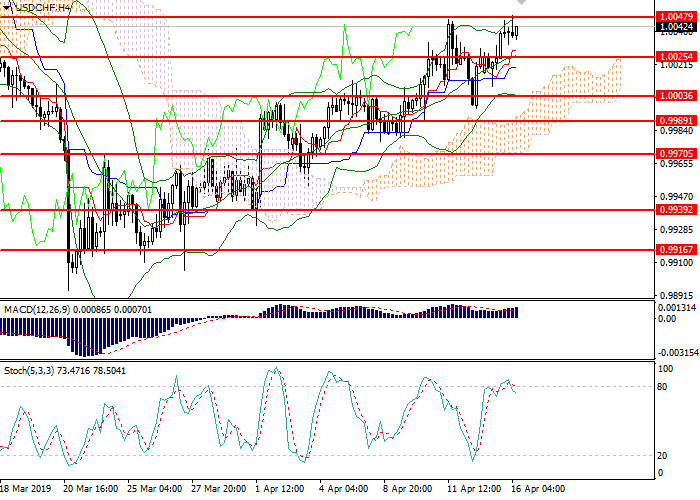 Long positions may be opened from the current level with the target at 1.0105 and stop loss at 1.0015. 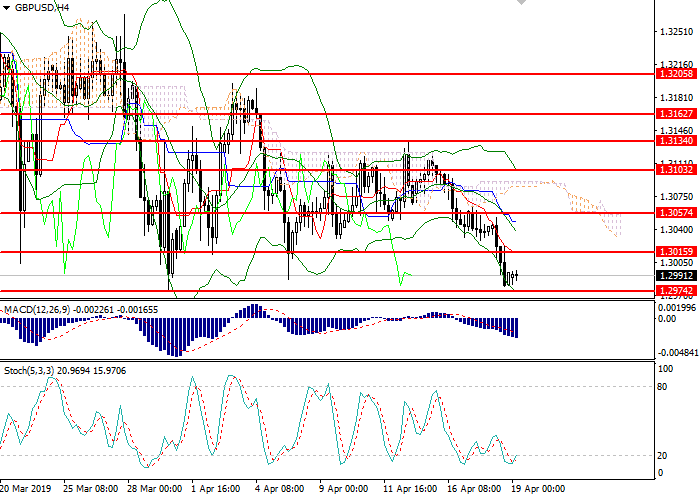 Short positions may be opened below 1.0020 with the target at 0.9980 and stop loss at 1.0040.